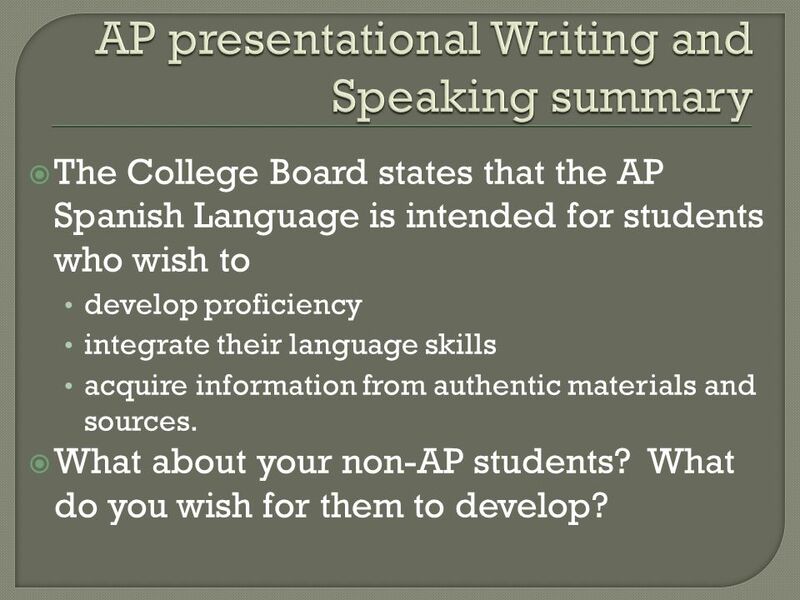 The College Board states that the AP Spanish Language is intended for students who wish to develop proficiency integrate their language skills acquire information from authentic materials and sources. What about your non-AP students? What do you wish for them to develop? 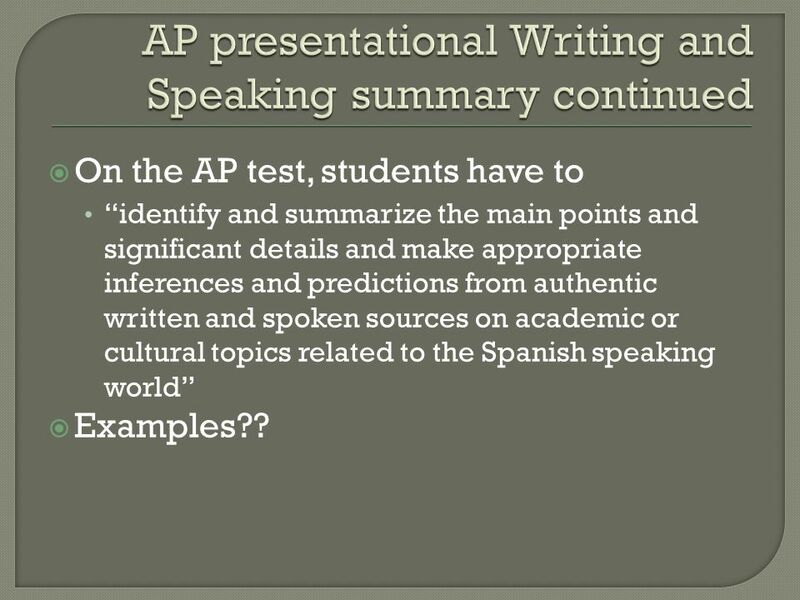 On the AP test, students have to “identify and summarize the main points and significant details and make appropriate inferences and predictions from authentic written and spoken sources on academic or cultural topics related to the Spanish speaking world” Examples?? 6 What is an authentic task? 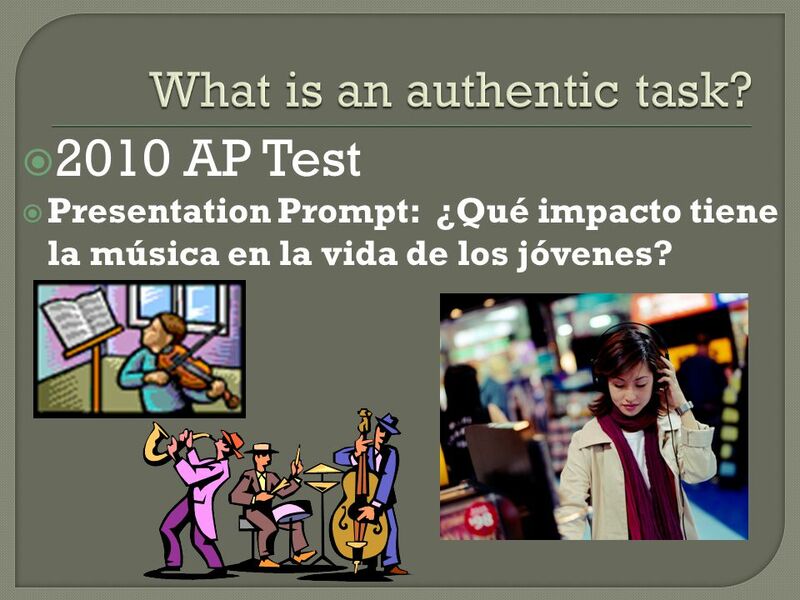 2010 AP Test Presentation Prompt: ¿Qué impacto tiene la música en la vida de los jóvenes? 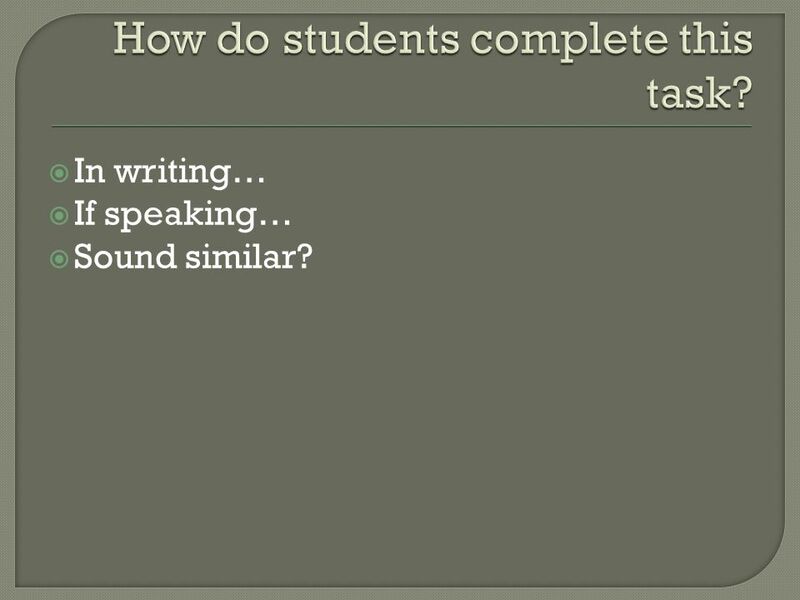 8 How do students complete this task? In writing… If speaking… Sound similar? 10 How to create tasks for pre-AP? You do not rewrite the curriculum and you do not buy new text books. You do need to keep the idea of integrating skills in mind so instead of teaching to each individual language skill (writing, reading, listening and reading), we integrate all skills, every day, into every lesson (to the best of our ability). You do need to develop integrated skill assessments. Who? Spanish 4 When? 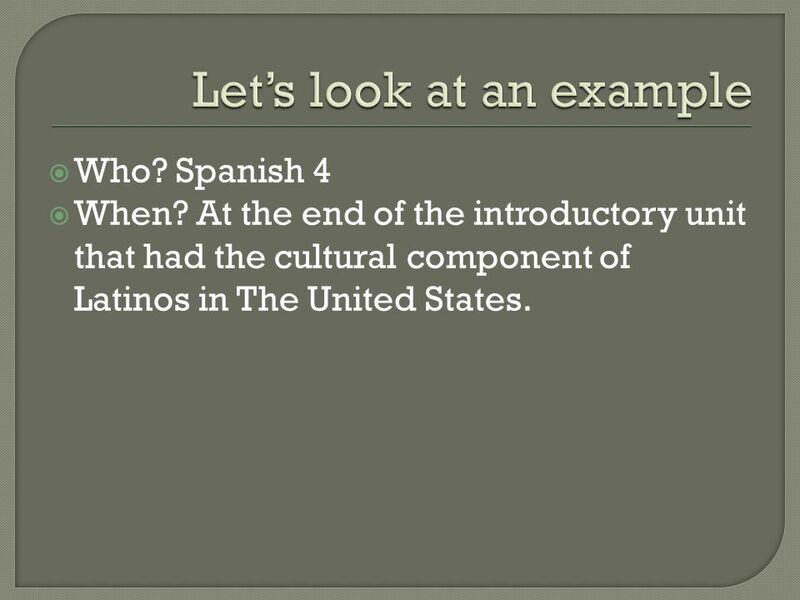 At the end of the introductory unit that had the cultural component of Latinos in The United States. La tarea: Describe o compara lo que estos hispanoamericanos han contribuido a los Estados Unidos. 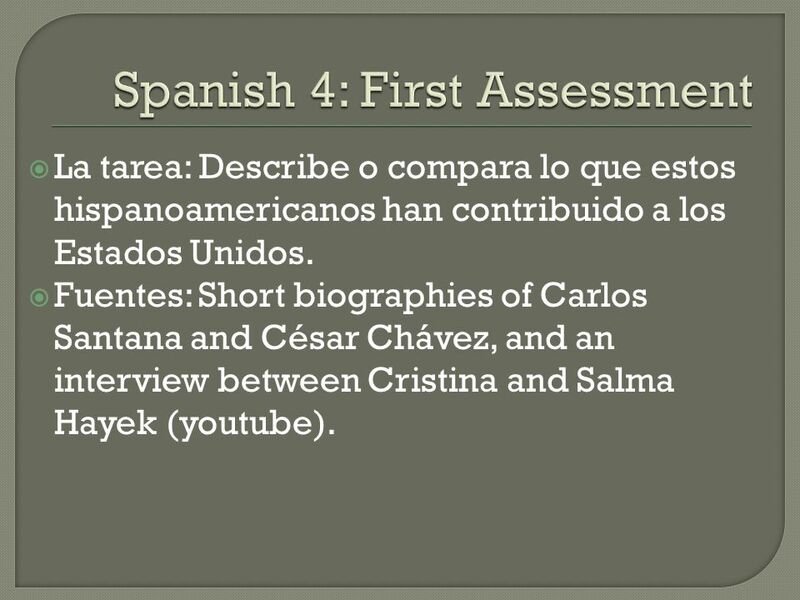 Fuentes: Short biographies of Carlos Santana and César Chávez, and an interview between Cristina and Salma Hayek (youtube). 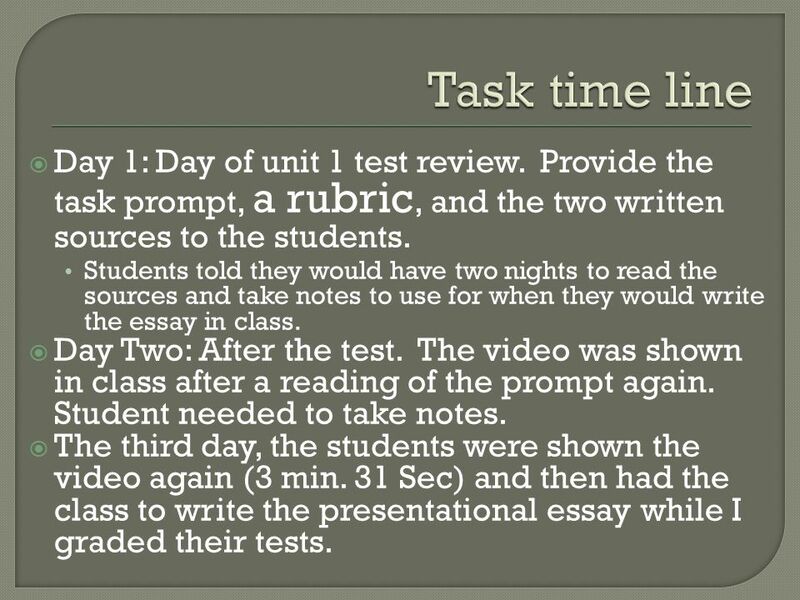 13 Task time line Day 1: Day of unit 1 test review. 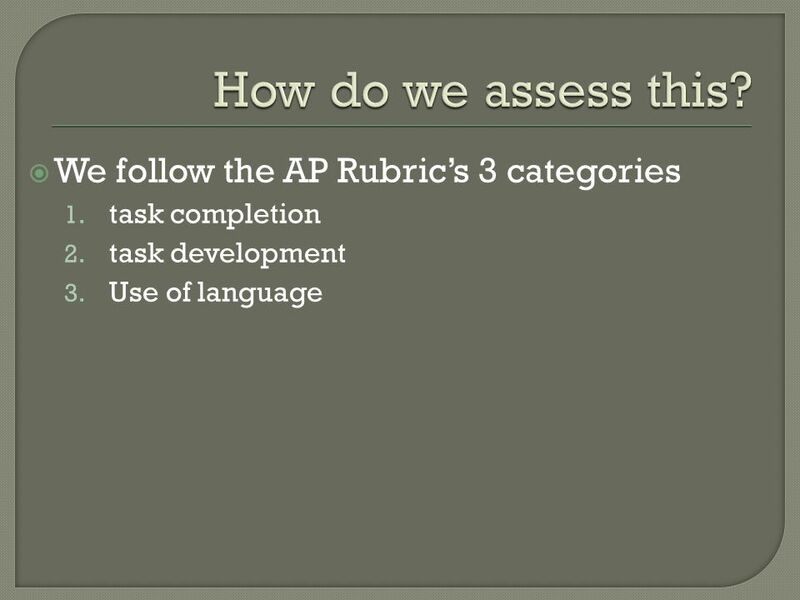 Provide the task prompt, a rubric, and the two written sources to the students. Students told they would have two nights to read the sources and take notes to use for when they would write the essay in class. Day Two: After the test. 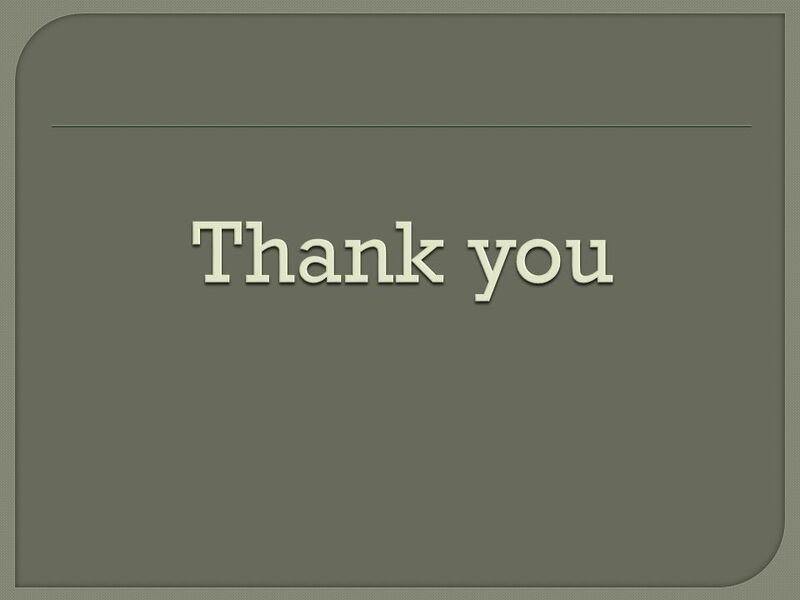 The video was shown in class after a reading of the prompt again. Student needed to take notes. The third day, the students were shown the video again (3 min. 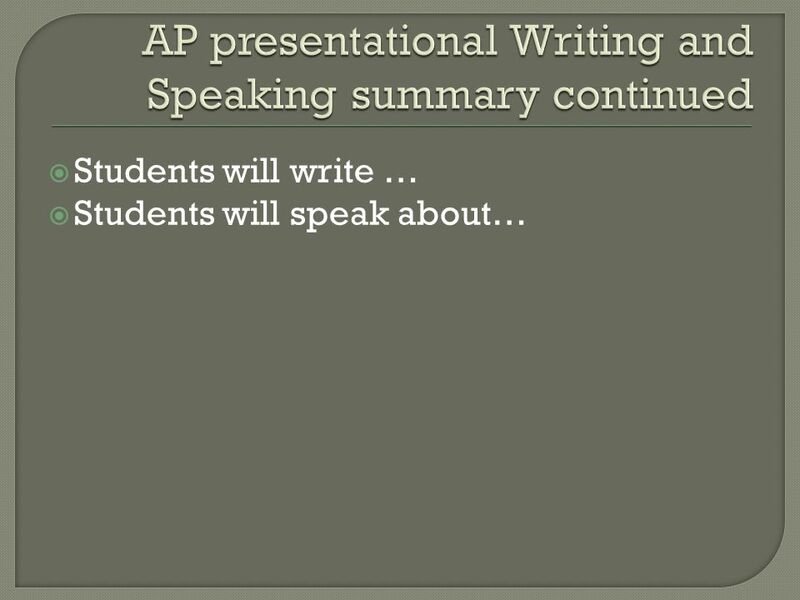 31 Sec) and then had the class to write the presentational essay while I graded their tests. Will this work at the Spanish 3 level? 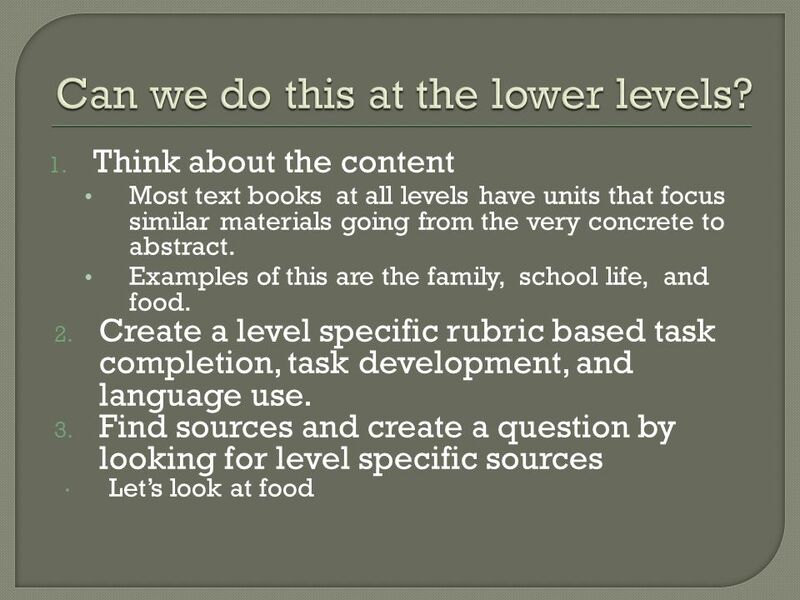 How do we make these tasks level appropriate? Preparation time? Extended writing time? 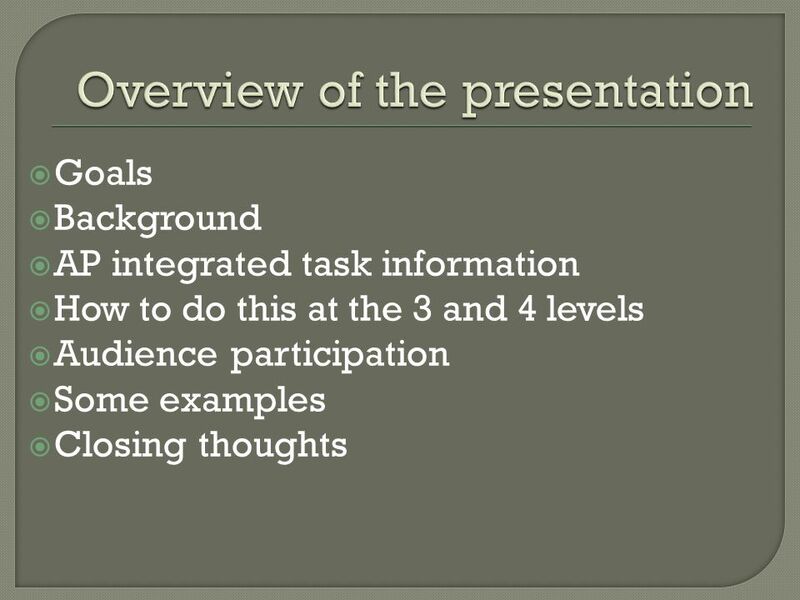 The use of notes for presentational speaking The AP exam allows students to use the notes and the sources when they record their presentations. 16 In what type of units might you do this type of exercise?. 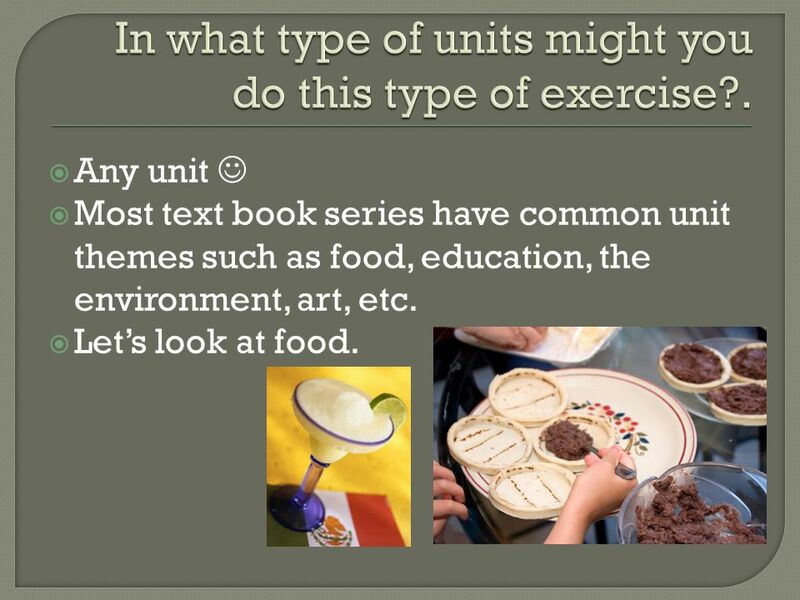 Any unit  Most text book series have common unit themes such as food, education, the environment, art, etc. Let’s look at food. 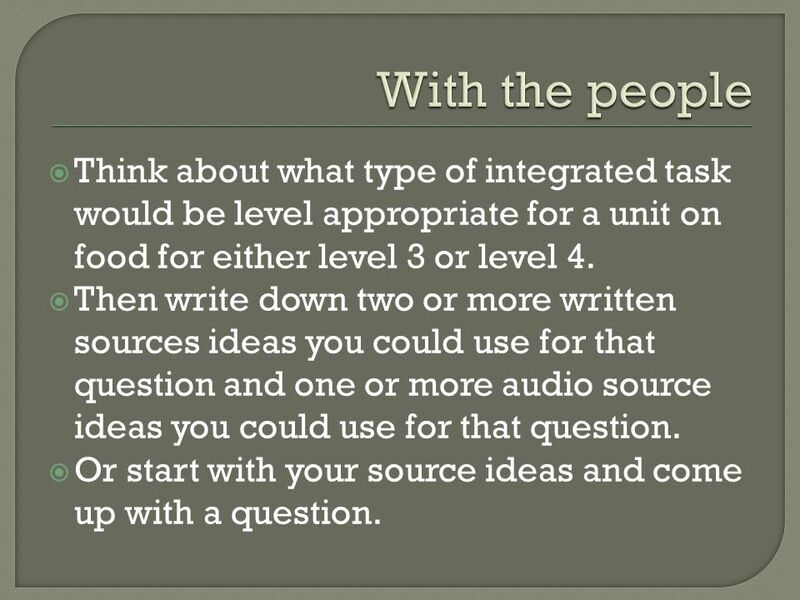 17 With the people Think about what type of integrated task would be level appropriate for a unit on food for either level 3 or level 4. 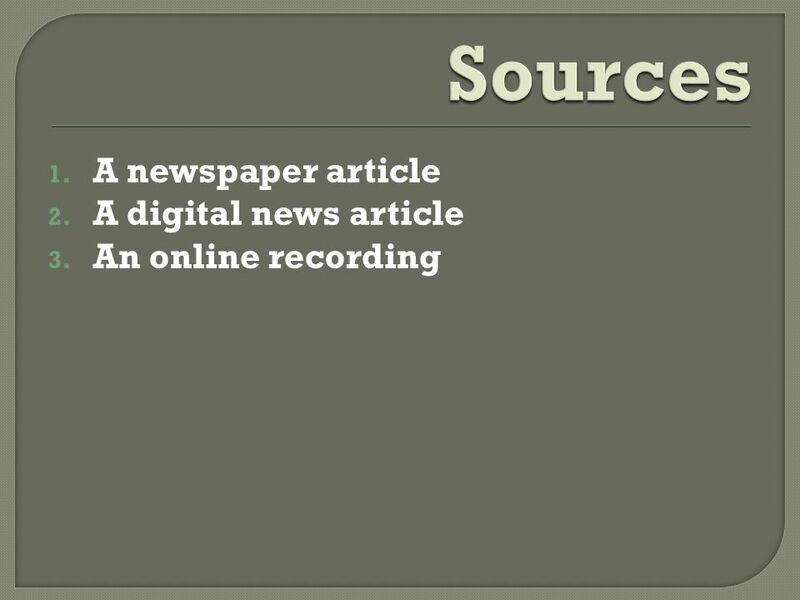 Then write down two or more written sources ideas you could use for that question and one or more audio source ideas you could use for that question. 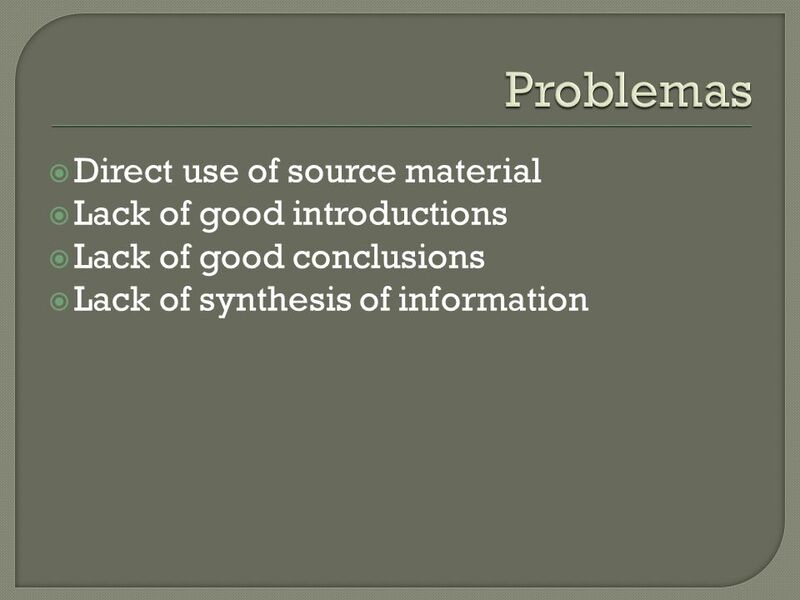 Or start with your source ideas and come up with a question. 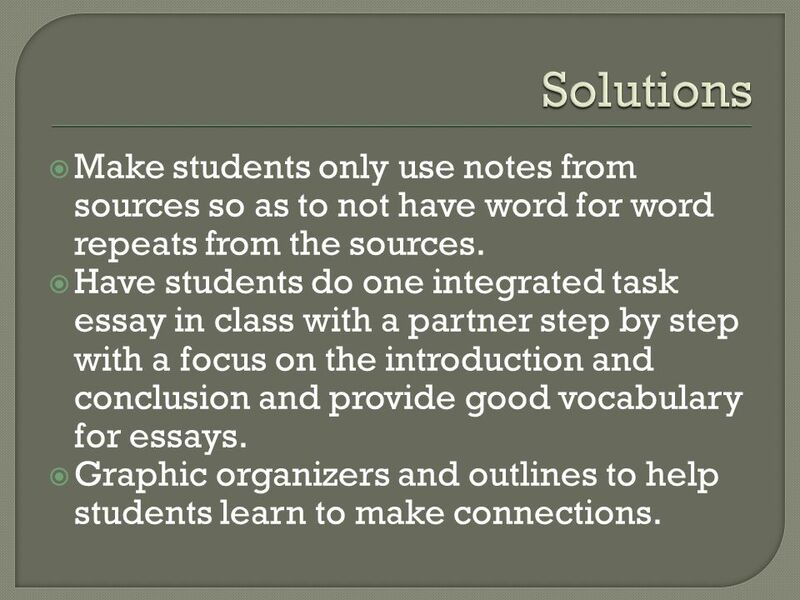 21 Solutions Make students only use notes from sources so as to not have word for word repeats from the sources. 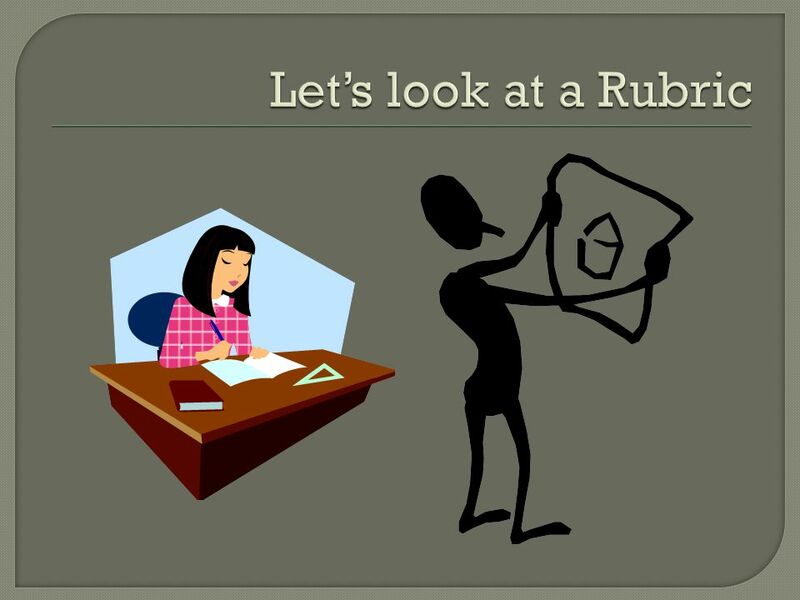 Have students do one integrated task essay in class with a partner step by step with a focus on the introduction and conclusion and provide good vocabulary for essays. Graphic organizers and outlines to help students learn to make connections. 22 What else might we do? 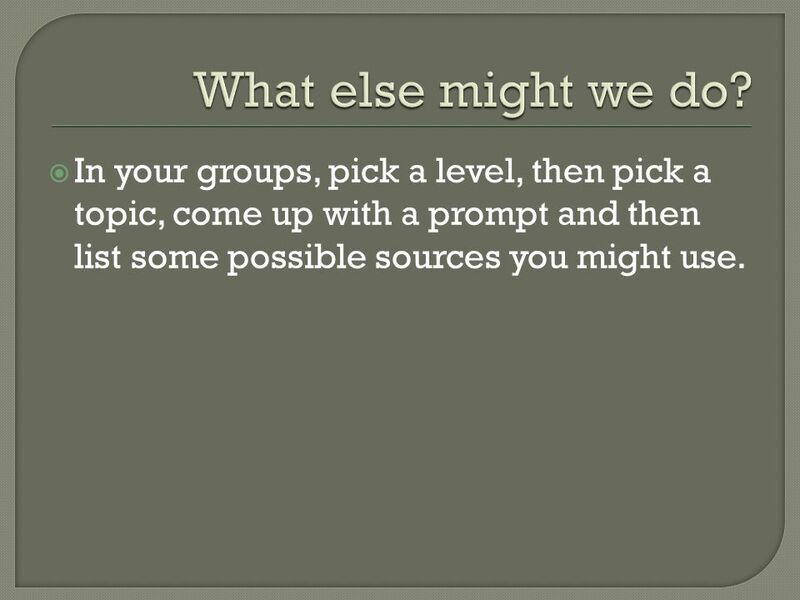 In your groups, pick a level, then pick a topic, come up with a prompt and then list some possible sources you might use. 23 Can we do this at the lower levels? 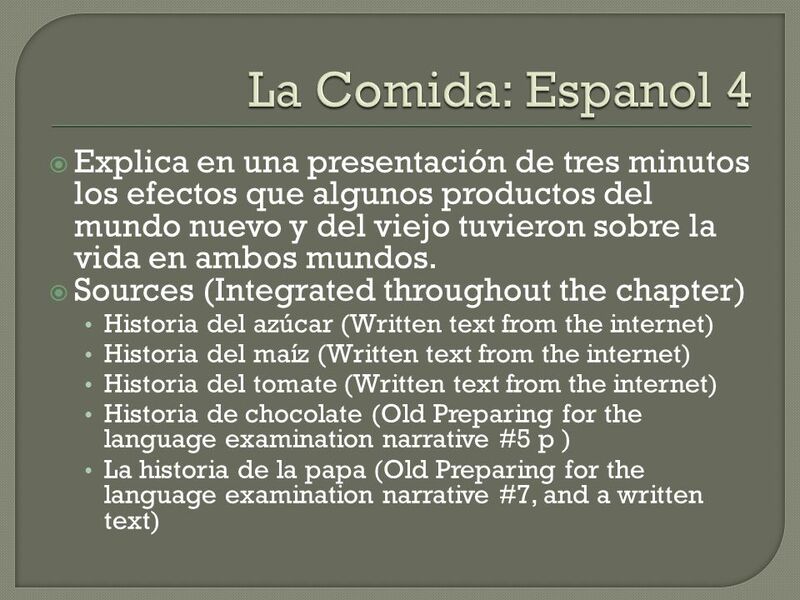 24 La Comida: Espanol 2 For this one, I decided to look first at sources that were in My textbook Realidades 2. 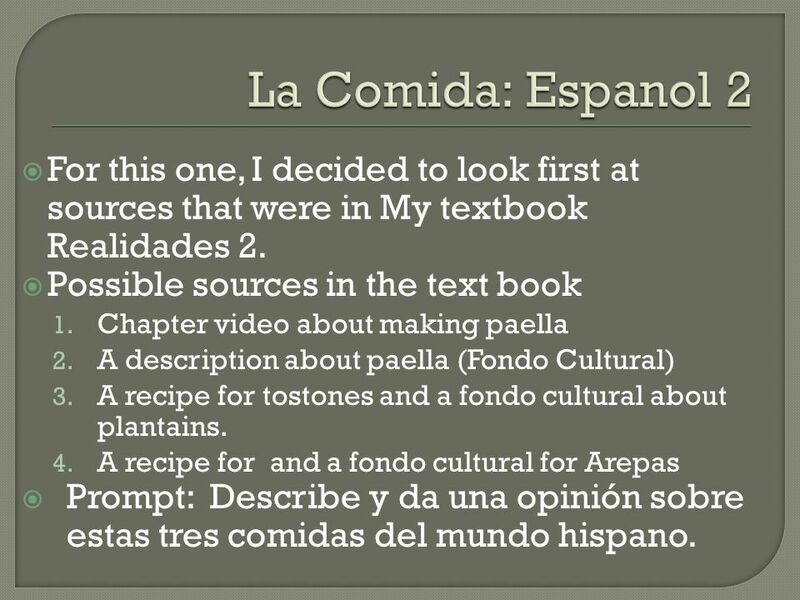 Possible sources in the text book Chapter video about making paella A description about paella (Fondo Cultural) A recipe for tostones and a fondo cultural about plantains. A recipe for and a fondo cultural for Arepas Prompt: Describe y da una opinión sobre estas tres comidas del mundo hispano. 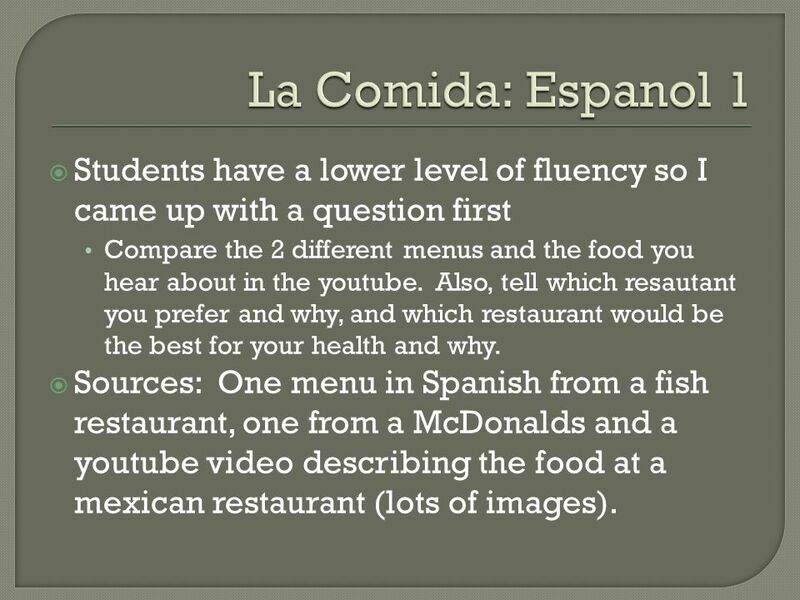 25 La Comida: Espanol 1 Students have a lower level of fluency so I came up with a question first Compare the 2 different menus and the food you hear about in the youtube. Also, tell which resautant you prefer and why, and which restaurant would be the best for your health and why. 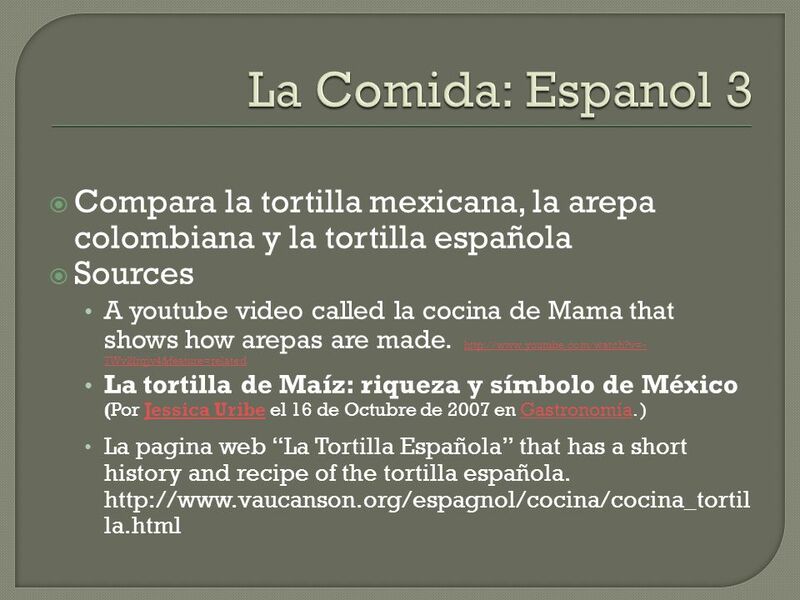 Sources: One menu in Spanish from a fish restaurant, one from a McDonalds and a youtube video describing the food at a mexican restaurant (lots of images). 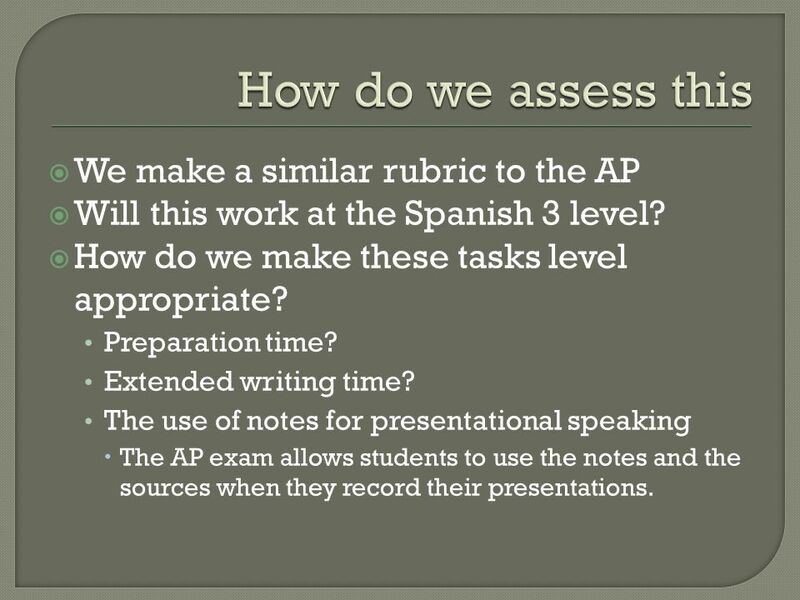 26 The intent of the AP exam, and of all language instruction, is to authentically assess a student’s ability to engage in real-life language-use situations. Thus, as language teachers we should be modeling this teaching authentically but without abandoning teaching the language foundations necessary for communication. 27 By integrating skills and through authentic instruction, we will prepare students not only for authentic language exams (small goal), but also for the practical use of the language in out current, diverse society (our overreaching goal). 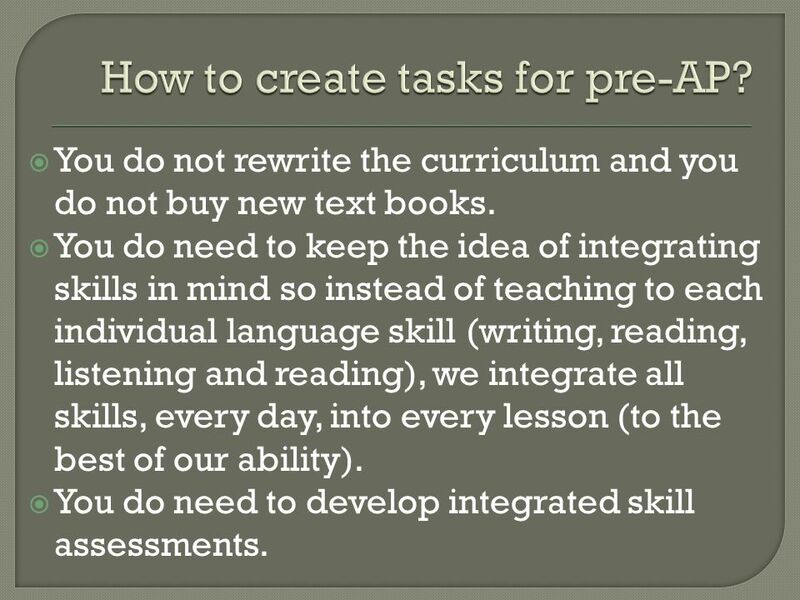 Download ppt "Using authentic language sources for tasks in pre-AP Spanish classes"
MY FRAGMENTED SELF 2013 STARTALK/NHLRC Teacher Workshop Martha Corona Cecilia Milán Sybil Alexandrov. Curriculum 2.0 Reading / Language Arts By the end of third grade, students: Create and follow rules for collaborative conversations. Acquire and use. Common Core & LOTE Part Deux FLACS Meeting: January 15, 2013. Chapter 1 What is listening? Literacy Development of Second Language Learners Developed by: Laurie Weaver Judith Márquez University of Houston-Clear Lake. The use of podcasts to integrate language and culture in L2 teaching Claudia Fernández DePaul University CLAC Conference Thursday, October 16, 2008. Spanish II Final Exam Outline Listening For each of 15 questions, you will hear some background information in English once. Then you will hear a passage. Murales del Barrio Isabel Espino de Valdivia Ph.D. NEH-2011: Latino Identity in New York Pittsburgh-Pennsylvania. IELTS (International English Language Testing System) Why do we need to know about it? Why do we need to know about it? What does it look like? What does. 1 The A.P. Exam Tuesday, May 3rd 2011 at 8:00 a.m.